If you’re busy planning your next getaway and booking breakfasts, lunches, and dinners like there’s no tomorrow we urge you to spare a thought for the oft overlooked hotel restaurant. Some of the world’s best dining experiences can be found within a few feet of your bed (or, at least, someone’s). Michelin starred to the hilt and guaranteed to make your pals jealous, these are the best hotel restaurants in the world right now. Get booking. As if the hotel alone wasn’t completely impressive (there’s luxe and then there’s luuuuxe), the St. Regis Dubai is home to some of the world’s best hotel restaurants. Our pick is J&G Steakhouse, which offers a collection of steakhouse classics inspired by Michelin-starred chef Jean-Georges Vongerichten, with a lazy 17 cuts on offer. Decked out like the warm and welcoming American steakhouse of your dreams—it’s all leather upholstery and moody lighting—the focus is on the quality of the meat and seafood, and the stellar wine list. Ooh la la. Alain Ducasse’s iconic restaurant, located in the Hôtel Plaza Athénée is worth a sticky beak for the sparkling interior alone, but it’s the healthy take on French haute cuisine that’s the real star of the show. Sustainable, wild, and mostly organic ingredients are the name of the game here, with fish, vegetables, and cereals taking centre stage. Sweeping views of Tokyo’s Imperial Palace Gardens would be enough to catapult any hotel restaurant onto this list, but Hei Fung, a stunning Cantonese restaurant in the famous, stately Peninsula Tokyo Hotel deserves a spot for the food alone. 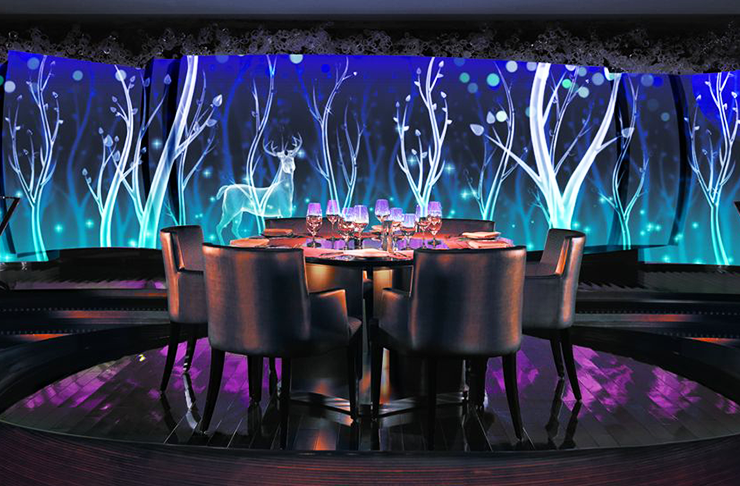 Styled to look like an exotic Suzhou garden, this is a world-class dining experience you won’t forget any time soon. 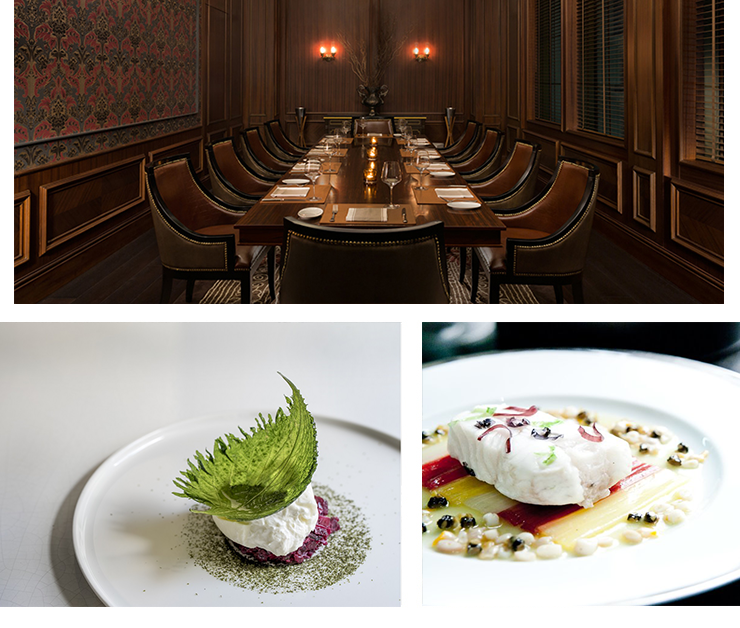 In NoMad you’ll find a very dark and cool New York fine dining experience care of the guys behind Manhattan restaurant Eleven Madison Park, Chef Daniel Humm and restaurateur Will Guidara. Seasonal American dishes (the roast chicken with foie gras and black truffles is the stand-out dish) are served amidst impressive belle époque-style interiors, designed by Jacques Garcia. A three-Michelin star restaurant in Napa Valley wine country? We're SO there! The Restaurant at Meadowood offers tasting menus designed around local ingredients (and local wines, natch) from chef Christopher Kostow. Paired with the dreamy accommodations and non-stop wine-tastings, this is the stuff foodie holiday dreams are made of. Sitting pretty above the Tokyo skyline, Signature is the standout restaurant in the Mandarin Oriental Hotel. Dishing up modern French fare by chef Nicolas Boujéma, Signature became the hottest meal ticket in the world when they hosted Noma for a week-long residency a few years back, but rest assured this world-class restaurant doesn’t need a guest chef to impress. 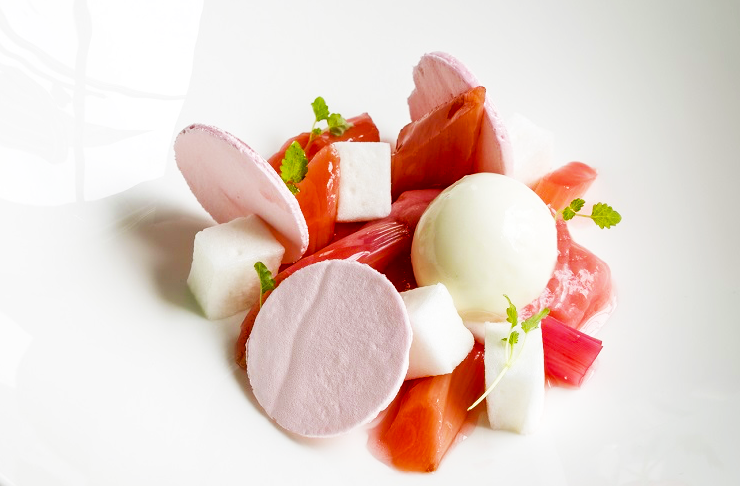 Dating back to 1865, the Langham London is one of London’s grandest hotels, and is known for its impressive fine dining restaurants, and the opulent Roux at the Landau is no exception, offering up a classic London dining experience that shouldn’t be missed. Serving modern French cuisine in seriously beautiful surrounds, the restaurant was recently immortalised in the film Burnt starring old-blue-eyes Bradley Cooper. Think of the world’s best hotel restaurants and you’ll likely conjure up images of fine dining and stiff linen, but Midtown’s The Le Parker Meridien bucked the trend entirely when it opened a dingy burger bar down a back corridor. Head through the lobby, down a corridor and into this deceptively simple cash-only burger bar, Burger Joint, for one of New York’s best burgers; this greasy-spoon joint in the heart of an upscale hotel is as refreshing and fun as it sounds. Molecular magician, Heston Blumenthal’s first residence outside of the UK is Dinner By Heston in the sprawling Crown Melbourne. Booked out months in advance, this is one of those bucket list eats situations; Blumenthal’s already iconic dishes hardly need an introduction, but keep an out for local touches on the Aussie menu you won’t find anywhere else. This wouldn’t be a list of the best hotel restaurants without a seriously swag’ buffet to round out all that fine dining. The Buffet at Wynn Casino is jaw-droppingly impressive. With 15 food stations and dishes on offer like Frank Sinatra’s family recipe for spaghetti and meatballs, prime rib, Peking duck, a patisserie, and bottom-less beverages, this spread will keep you going for a whole day in sin city. And the fit-out is as enticing as the menu, with a Liberace meets Willy Wonka excessiveness that’s pure joy. Want your holiday to be a bit more actioned-packed (less stuff-your-face feels)? These are all the reasons why you need to visit Queenstown this winter.